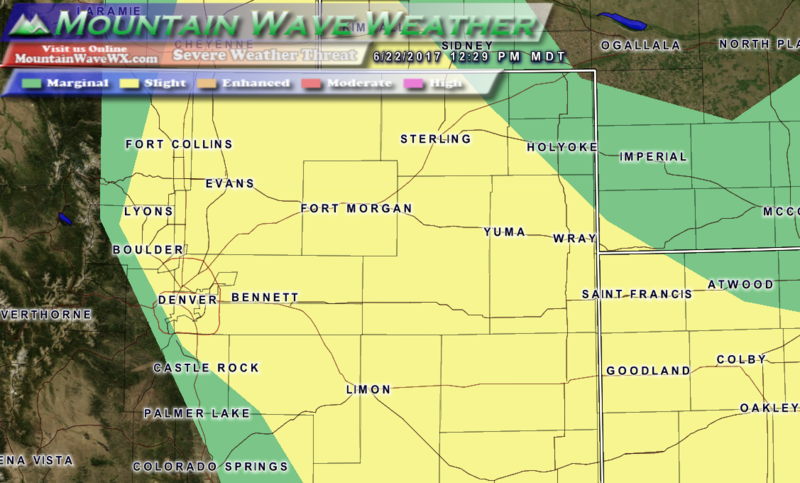 The Storm Prediction Center has issued a sight and marginal risks of severe weather along Colorado’s front range today. The main threats will consist of large hail and strong winds. Due to lack of low level moisture, tornadoes are not likely with these storms today. 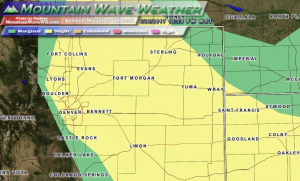 A mesoscale discussion is out for the front range and mentions some of the threats and the possibility of a Severe Thunderstorm Watch to be issued in the near future. We will keep an eye on the radar and let everyone know if we see anything of note forming along the Palmer Divide. Be prepared to move indoors if storms begin to threaten your area! Severe thunderstorms will be scattered in nature, any areas that get under one of these scattered storms has the chance of experiencing the hazards listed above. We will have any real-time updates on Severe Weather on our Facebook Page!